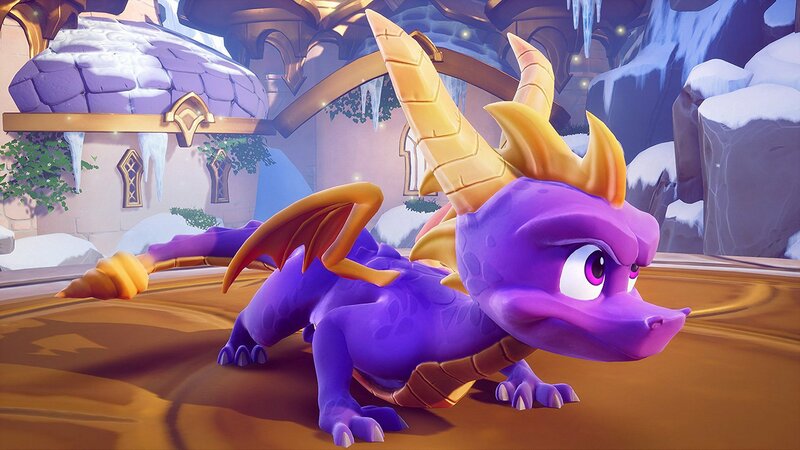 For many, Spyro: Reignited Trilogy presents an opportunity to play the three beloved games all over again. 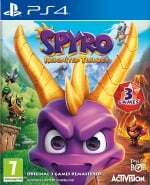 However, 20 years down the line, many players will be coming to Spyro having never played any of his games before (the lucky devils). Spyro the Dragon, Spyro 2: Ripto's Rage! and Spyro: Year of the Dragon are all classic 3D platformers, and while they're fairly straightforward, some may want some pointers before diving in. Read on for some general tips for Spyro 1, 2, and 3. In Spyro 1, 2, and 3, Spyro has a few fundamental manoeuvres at his disposal that you'll make great use of when exploring each game. As a dragon, Spyro can breathe flames with the circle button. This attack is used to defeat most enemies in all three games. Holding down square will see Spyro lower his head and charge forward. Not only is this useful for taking out enemies, it also allows you to move about much more quickly, and is necessary to avoid some attacks or hazards. Spyro can jump with X, as you'd expect, but he's capable of more than that. Firstly, holding down the X button will make him jump higher than if you just tap it. Secondly, if you press X again in mid-air, Spyro will begin gliding. This is a crucial move that you'll be using a lot to cross gaps, travel to far off platforms, and more. In the first game, pressing triangle during a glide will see Spyro drop down. However, in Spyro 2 and 3, pressing triangle during a glide will make him hover briefly, giving Spyro a little extra height and distance. Gems are everywhere in the Spyro games. Also known as treasure, these multicoloured jewels are like Sonic's rings, or Mario's coins. However, you're encouraged to collect as many gems as you can, as they count towards the level of completion for each game. If you want to 100% finish Spyro 1, 2, and 3, you'll need to hoover up every last gem in the Reignited Trilogy. This means you'll need to search high and low to find them all. It's worth looking in every nook and cranny, as odds are there are a couple of gems or a treasure chest fiendishly tucked away. Enemies will often drop gems when defeated too, so make sure you take out any threats to get the maximum number of jewels in each stage. In Spyro 2: Ripto's Rage! and Spyro: Year of the Dragon, a character named Moneybags will ask for gems in order to progress through the game, so it's essential to find as many as possible. Luckily, your best pal Sparx (more on him below) can help you find all the treasure. Click in the L3 button and he'll point to the nearest gem. There are numerous types of treasure chest in Spyro 1, 2, and 3. Most of them can be easily opened by flaming or charging them, but some are a little trickier. Those with a padlock on the front will require a key to open, while some can only be opened by firing unique projectiles at them. The means to open each type of chest will be available in the same level, so don't worry if you can't figure out how to open one -- just keep exploring. We've explained Sparx the Dragonfly in a guide all of his own, but it's worth repeating here. Sparx is the little dragonfly that follows Spyro around throughout his adventures. He essentially acts as your health bar, changing colour the more damage you take. When he's gold, you're at full health, but he'll turn blue, then green, then disappear altogether as you take hits. If you take a hit when Sparx isn't there, you'll lose a life. To replenish Sparx (and thus your health), you need to feed him butterflies. You can do this by killing "fodder" enemies. Most levels have their own variety of fodder, but the first example you come across is the sheep in Artisans home world. When a fodder enemy is taken down, a butterfly will appear, and Sparx will eat it, increasing your health by one point. Every 10 butterflies he consumes, a blue one will appear, which brings him to full health and gives Spyro an extra life. Keep him in top condition to keep Spyro going! And, as pointed out above, he can help you find those precious gems. Click in the left stick and he'll point to the nearest gem. Spyro: Reignited Trilogy allows you to turn on a mini-map that shows the layout of the current level and Spyro's position. It appears in the bottom left corner, and works across all three titles. For new players who might have trouble navigating some of the trickier or larger stages, this could be a useful option. To activate the mini-map feature, bring up the Pause menu and go to Options. You'll see 'Map: Off' at the bottom. To turn the mini-map on, simply highlight the option and press X. Resume the game and the map will show in the bottom left after a second or two. Press X to jump, got it!! Is this an easy plat? Can you do a plat without starting up the games again after finishing the story?